INGLESON, Syd. Modern Body Building. Syd. 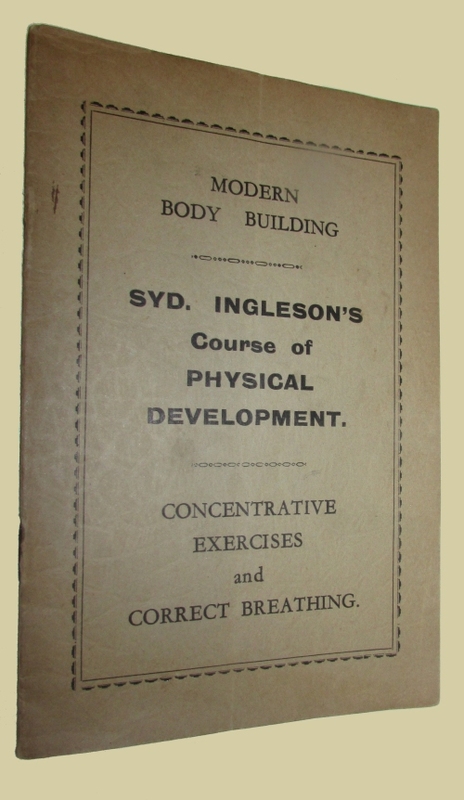 Ingleson’s Course of Physical Development. 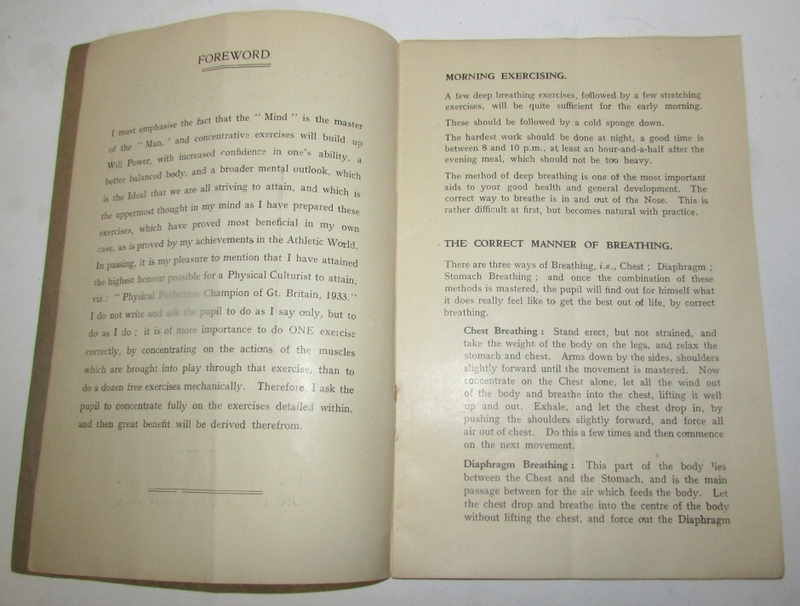 Concentrated Exercises and Correct Breathing (Cover title). (Leeds): (E. Arnold & Company), nd. (193-?) Signed by Syd. Ingleton. 8vo., orig. printed wrappers, (12)pp. Creased down the centre, else near fine. 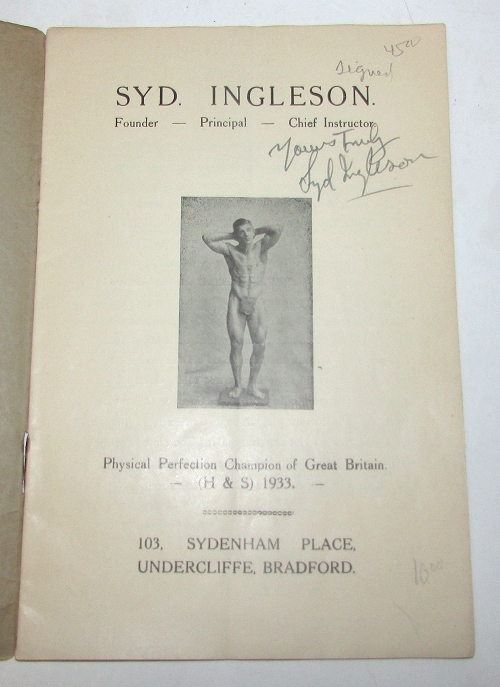 A 34-step guide from the Physical Perfection Champion of Great Britain..